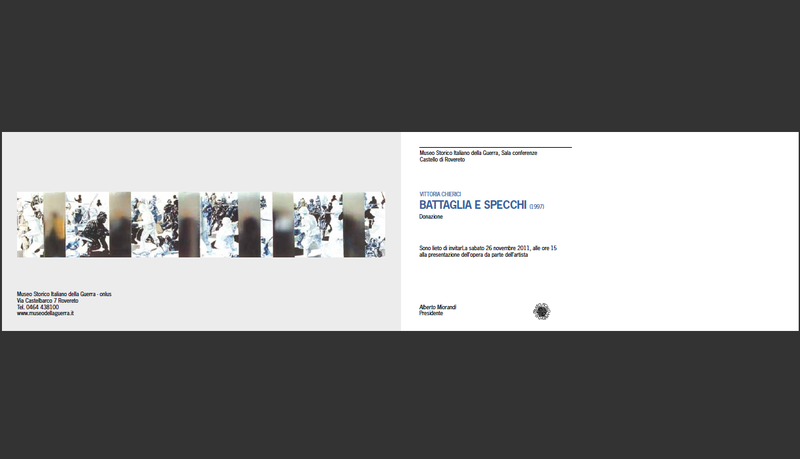 In the attachment below, the official invitation to a public event at the Museo della Guerra, in Rovereto, Italy. A large piece that I painted in 1996 will be permanently exhibited in this beautiful castle built in 13th century. The museum was founded in 1921 to locate and organize repertoires from the First World War. Please, visit also the links to have more information about this museum and the city of Rovereto, a beautiful town near Trento, in the North of Italy, theater of a cruel trench warfare during the First World War.